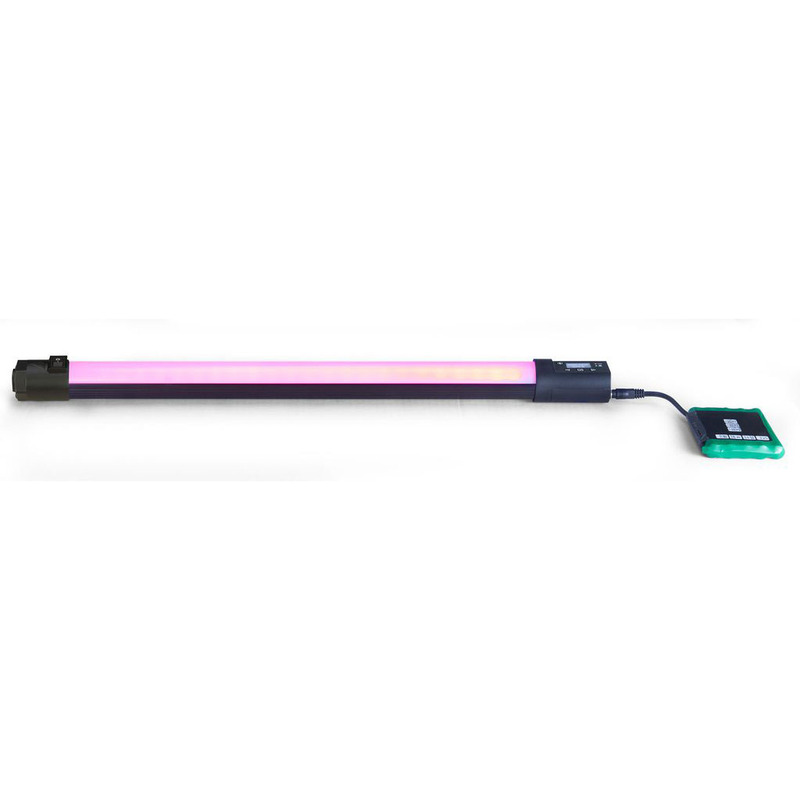 ■The new Q-LED Rainbow Linear LED Lamp featuring RGBX can paint your world with vibrant saturated color and illuminate it with powerful white light from our 2000° Candlelight to 6000° Daylight Kelvin. ・RGB: A rainbow of color at your finger tips. With a full 360° palette for vibrant fully saturated color or mixed with X-fade white light for soft beautiful pastels. Includes color presets for Blue, Cyan, Green, Yellow, Orange, Red, Magenta, Purple. ・Low Profile Shape: Easy to hide when space is at a minimum, the slender linear lamps can be mounted tight against a wall or ceiling. ・Expandable and Scalable: Stack them in a column to create large LED panels of any size, or end to end for long linear lighting sources. Create geometric patterns and 3D structures or spell out words the options are endless. 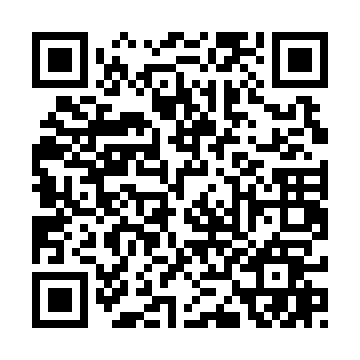 ・Control Panel: No need to pull out your phone or have a Wi-Fi network. The Rainbow comes equipped with an on-board control panel allowing you to set Intensity, CCT, Saturation, Hue, FX and much more. ・FX: Onboard effects with adjustable parameters. Including Fire, Police Light, Short Circuit, Paparazzi, Strobe and Rainbow Color Scroll. ・DMX Port: With DMX I/O, the Rainbow can be wired for DMX data control and passed through for chaining multiple lamps together. 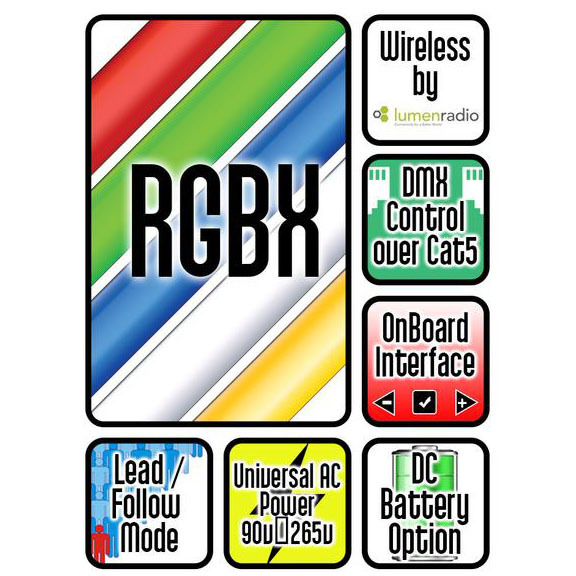 ・Wireless Control: Equipped standard with Lumen Radio CRMX wireless transceivers, Rainbow lamps can be controlled remotely via compatible transmitters. 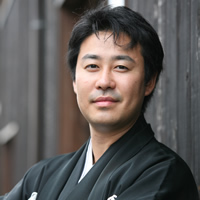 ・Lead / Follow Mode: Set a master lamp and control all others. 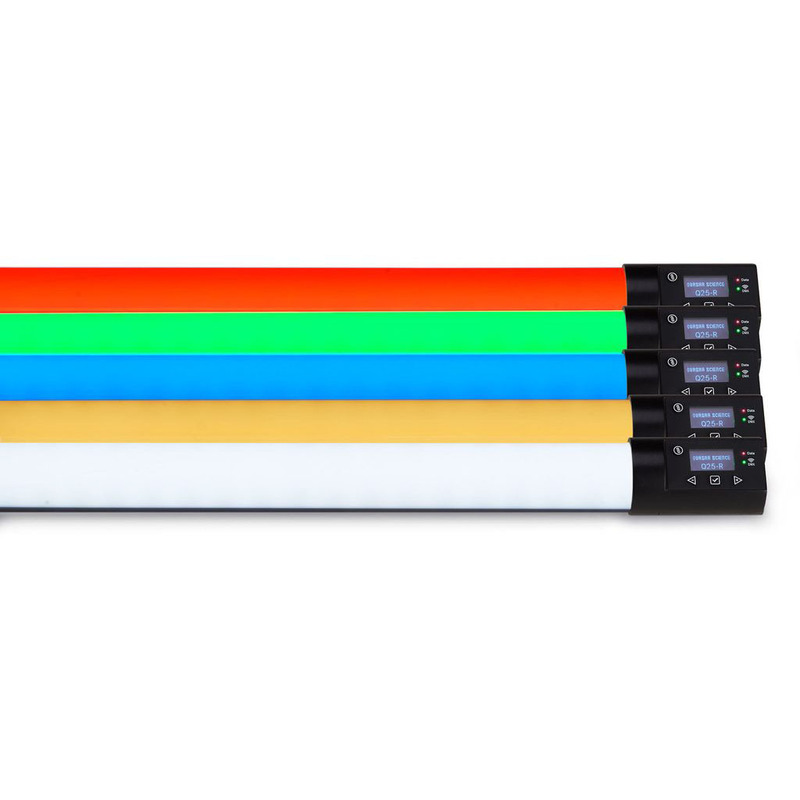 Rainbow LED lamps can be set to send or receive commands to and from any other Rainbow making it easy to change the settings of any multi lamp fixture or rig without dialling each lamp. ・Energy Efficiency: The Rainbow Lamps vastly outperform traditional Quartz, Halogen and HMI lighting sources in luminous output to power consumption ratio. 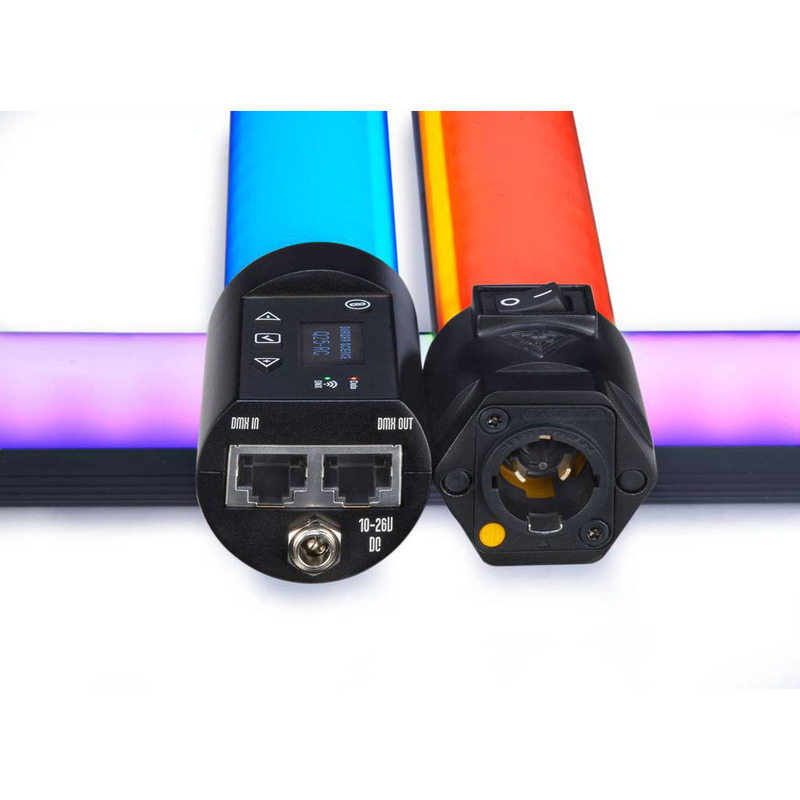 ・Self Ballasted AC Input: Run a line, RGB-X Rainbow Lamps use 100-265VAC (World Power) via Neutrik True1 connect and do not require troublesome external ballasts, power supplies or data boxes. 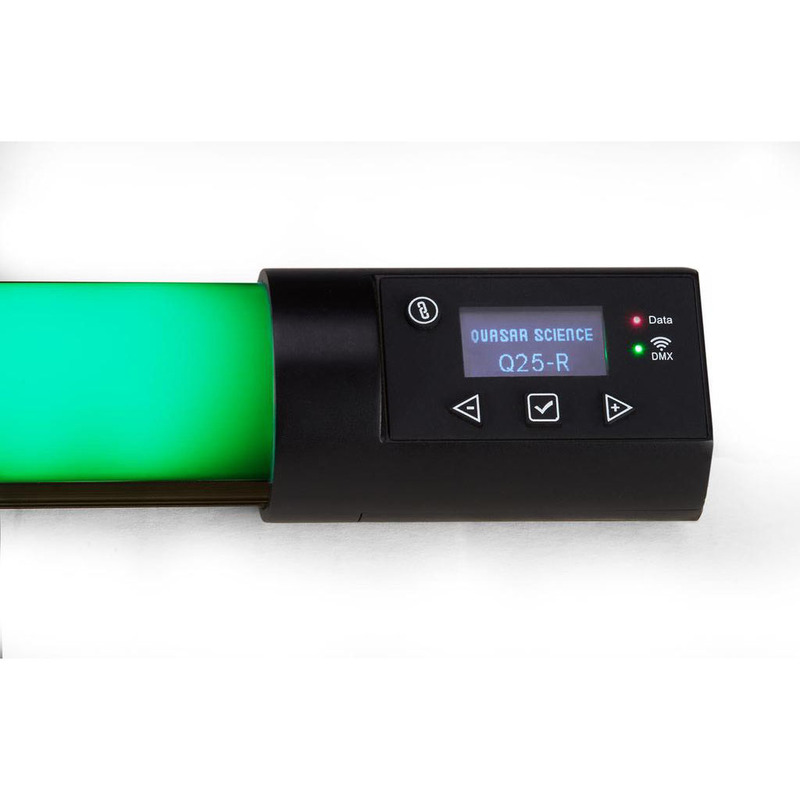 ・DC Battery option: Grab a battery, RGB-X Rainbow Lamps can run off of 10-26 VDC via locking 2.1mm x 5.5 barrel connector. ・Self Ballasted AC range 100VAC to 265VAC via Neutrik True1 connect. 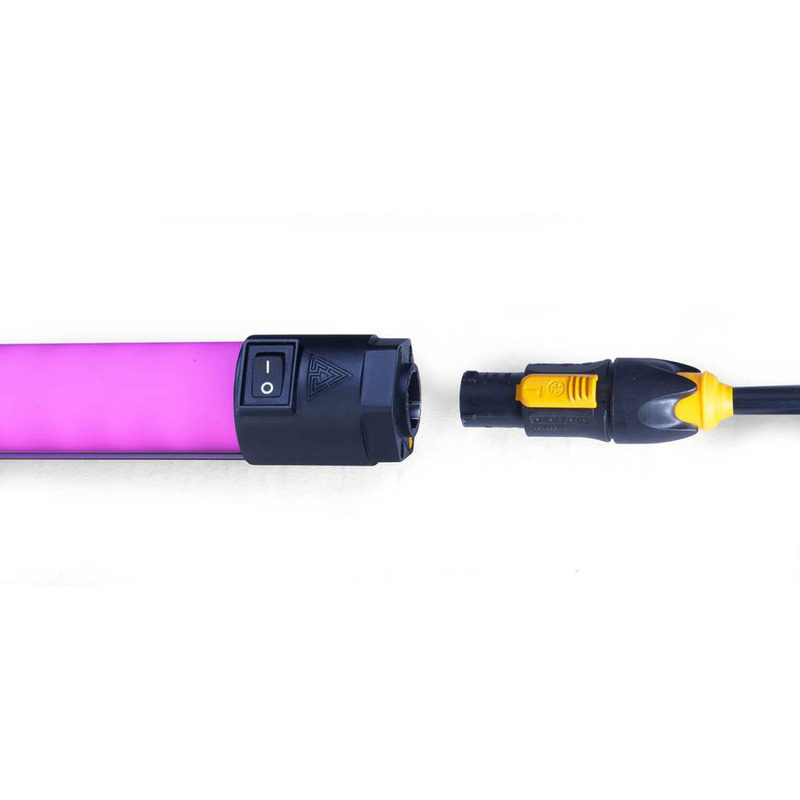 ・DC range 10VDC to 26VDC via 5.5 x 2.1mm Locking Barrel connect.